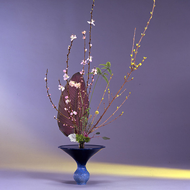 From the 2015 Ikenobo Autumn Tanabata Exhibition, I have decided to formally take my name as Senko Ikenobo, the Buddhist name I first received when I took Buddhist vows in 1989. On the occasion of celebrating the 70th anniversary of Headmaster Sen’ei Ikenobo’s becoming Forty-fifth Headmaster, I will make a new start as Senko Ikenobo. 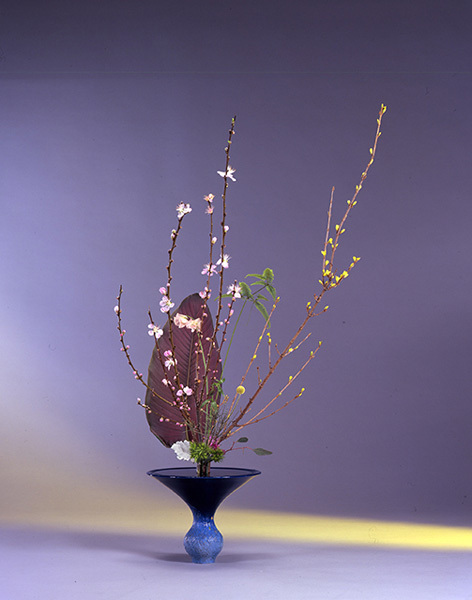 To the best of my ability I hope to promote ikebana, one of the representative aspects of Japanese traditional culture, to the next generation. 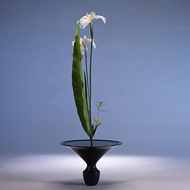 Senko Ikenobo is Headmaster Designate of Ikenobo, a family whose first generation is traced back to Ono no Imoko and whose philosophy of ikebana was established in the Muromoachi period. 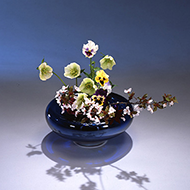 In 2015 she formally took the name Senko Ikenobo. 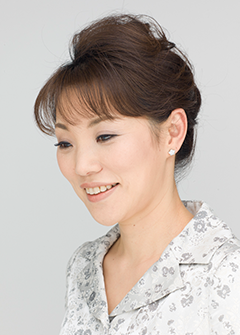 She serves as Vice Head Priest of Shiunzan Chohoji (Rokkakudo) temple in Kyoto. 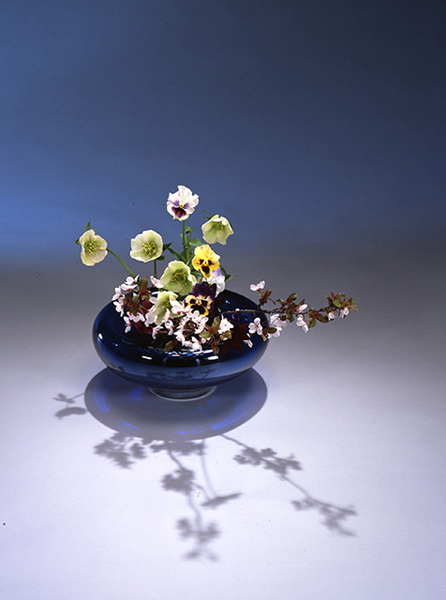 Her varied activities focus on life as emphasized through Ikenobo ikebana. As Honorary Consul of Iceland she has also contributed to fostering international friendship. 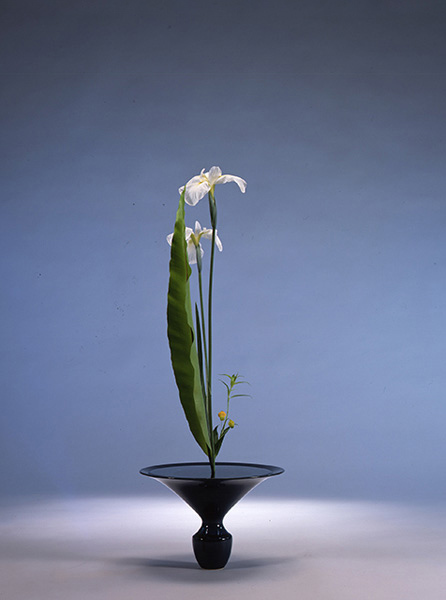 In 2013 she conducted an ikebana workshop at Harvard University and performed a flower offering ceremony with wishes for world peace at United Nations Headquarters in New York.